Twenty days ago our new pride and joy entered the world. 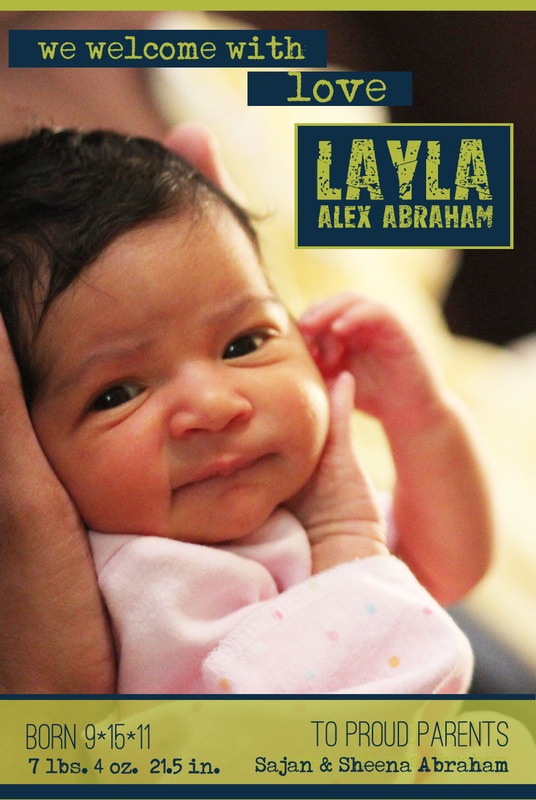 Many thanks to our friends and family for welcoming Layla so warmly! 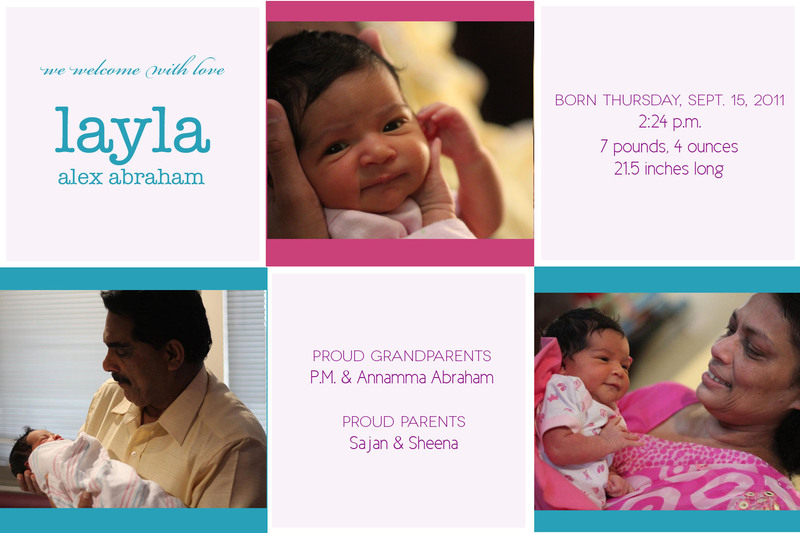 She has received so much love in her first few days. 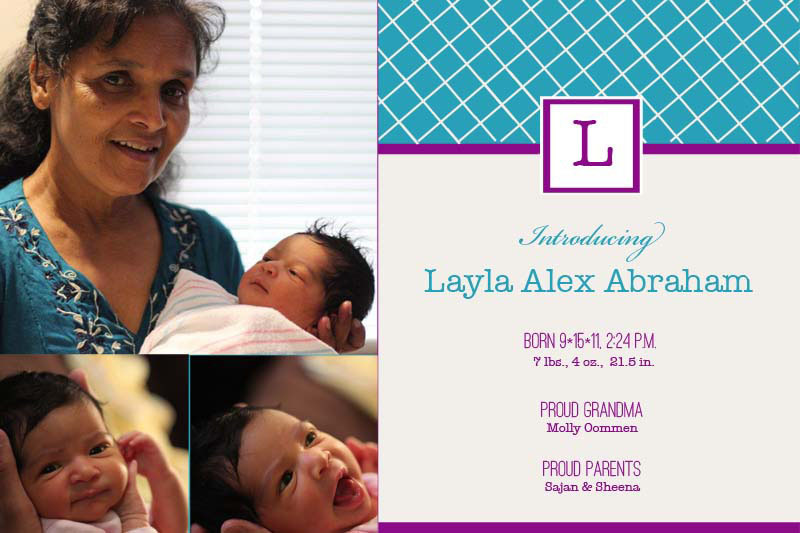 Of course, the grandparents are beaming over their first grandchild. This entry was posted in The Marriage Chronicles. Bookmark the permalink.